Effective database applications, business rules management, data warehousing, enterprise modeling and re-engineering all depend on the quality of the underlying data model. To properly exploit relational, object-relational or object database technology, a clear understanding is needed as to how to create conceptual business models, transform them to logical database models for implementation on the chosen platform, and query the populated models. Factorientation provides a truly conceptual way to accomplish these tasks, facilitating communication between the modeler, the domain expert and the application. 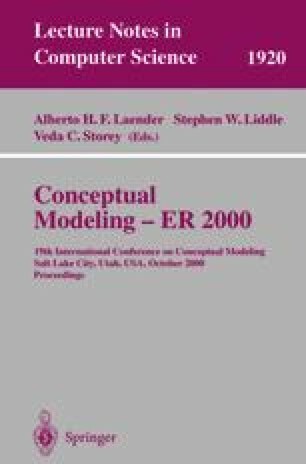 This presentation provides insights into the fact-oriented approach for modeling and querying information systems, focusing on verbalization and instantiation of data use cases for capturing business rules, including recent work on negative and default rule verbalizations. OMG 1999, OMG Unified Modeling Language Specification, version 1.3, UML Revision Task Force, available online from http://www.omg.org.